Derek Miller has always had a creative side to his life. As a kid he wanted to be a cartoonist, and little did he know, he would become deeply entrenched in that world as an adult through the web comic Cyanide and Happiness. While he was in college, and a few years afterward, Derek was part of a small metal band and also ran a small music blog. 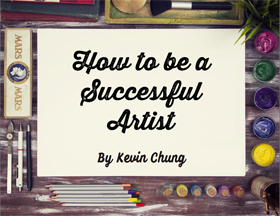 He was also a part of a non-profit to help artists turn their passion into full-time jobs. All that experience in the art world helped Derek run three successful Kickstarter campaigns at Cyanide and Happiness. Instead of treating Kickstarter like another crowdfunding tool, he treated each campaign like its own event. After three successful Kicstarter campaigns and constantly being approached by creatives about crowdfunding, Derek decided to write a book on the topic. This led to the creation of his book Six Figure Crowdfunding. In this episode, Derek talks about why you need to keep your creative momentum, the power of a positive mindset, and not getting down on yourself, among many other things. Lee Moyer is a polymath and illustrator who has been working for over 35 years. He has worked with book publishers, theaters, and game developers among many other things. In this episode, we talk about a lot of topics including learning from others, how to handle criticism and information overload, and his Kickstarter project The Doom that Came to Atlantic City.